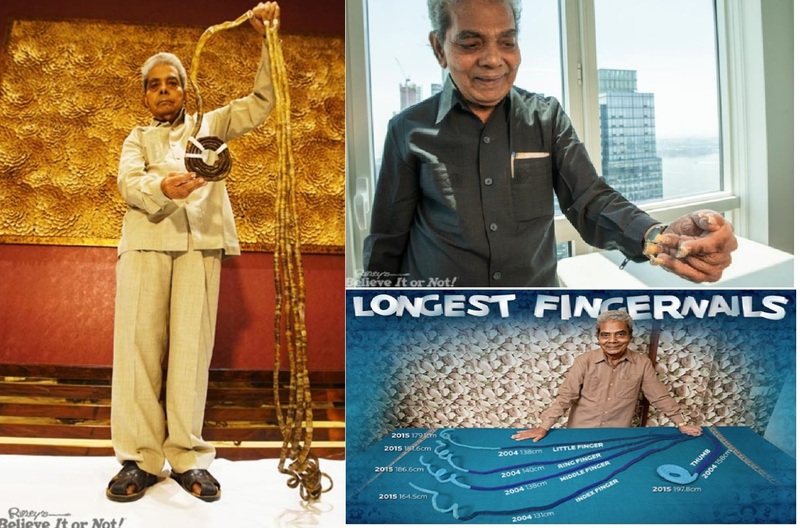 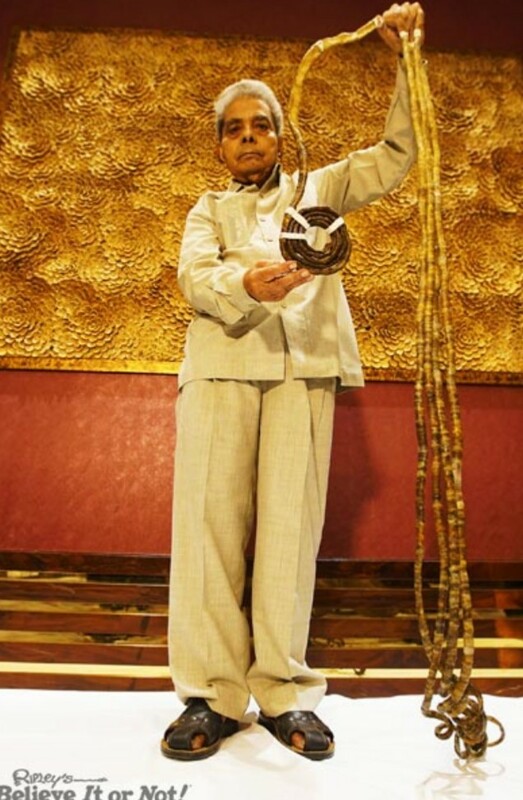 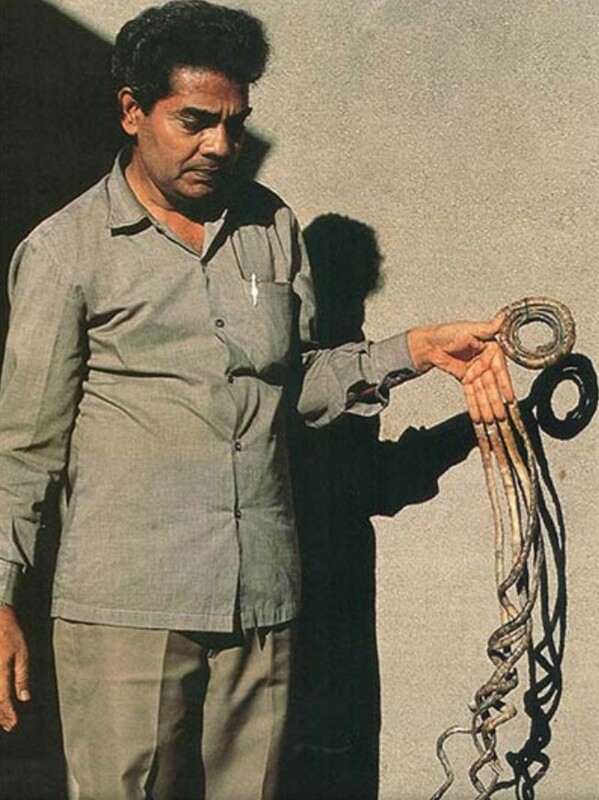 Mr. Shridhar Chillal, the owner of the world longest nails ever according to the Guinness Book Of Records finally cuts the nails off at age 82. 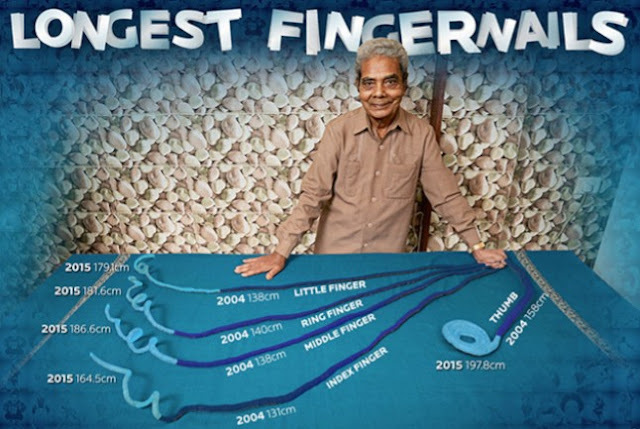 Chillal, who is an Indian started growing the nails at age 14 when his female school teacher purportedly scolded him for accidentally breaking her nails and since then, despite pressure from his parents, Chillal decision to grow his nails after that single event was so resolute that he successfully grew the nails for 66years. He grew the about 29 feet long nails in his left hand only while trimming the nails on his right hand whose he used in carrying out other daily activities including specializing in photography as a photographer with a specialized type of camera that accommodates his nails. His left hand is currently handicapped due to the weight of the nails and it is surprising to see someone continues with such a vows judging the pains but what do I really know about determination.